Below you will find a selection of the best houses for sale in Capdella village and the surrounding countryside. Capdella is a small village located some 6 km from the main town of Calvia, nestled in the foothills of the Tramontana mountains and the peak of El Galatzo, the second highest in Mallorca. Fincas and villas in Capdella enjoy the beauty of the lovely local countryside, the dramatic backdrop of the mountains yet access to the coast and the "activity" of Santa Ponsa, Bendinat, Peguera, Portals Nous and Puerto Portals all within 10-15 minutes easy drive. 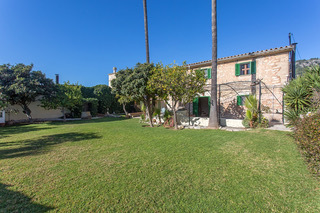 If you are looking for the more traditional country home and village life yet want easy access to major "urban facilities" then Capdella and nearby Calvia and Sa Font could be exactly what you are looking for! Property for sale in Santa Ponsa including Nova Santa Ponsa, and Port Adriano, the new super yacht marina. Property for sale in Andratx and Port of Andratx (Puerto Andratx) including stunning panoramic sea view villas!